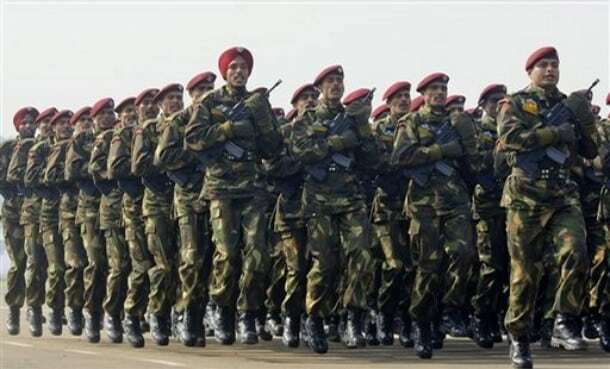 Armed forces of the country are livid after hearing that 7th CPC (Central Pay Commission) has questioned the steady rise in number of claims being filed for disability pension, especially the rise of such requests among senior ranks. In case you don’t know, a recommendation in the report handed over by 7th CPC to the government questions the rise of such requests in senior ranks of military officers, while converse is true for jawans and JCOs who’re more likely to become disabled during their service. The recommendation suggests that superannuating with disability pension has become an “upward trend” among senior ranks of army officers, so current percentage-based system for disability pension should be abolished and a more equitable slab-based system should be restored. This allegation of aberration has attracted the wrath of army officers. On Thursday several retired and currently serving officers of armed forces contended the 7th CPC recommendation stating that pay panel has relied on one-sided data to make its observation and not done any verification inside the defense industry. While they didn’t completely rule out the possibilities of some aberration, they stressed the point that most claims were genuine. According to them there may be two reasons behind the rise of such claims after implementation of 6th pay commission. First may be the filing of claims by those officers who were denied the benefits earlier, but are now able to get them after court orders or changes in government policies. Another reason may be substantial hike that previous commission did in disability pension for officers: on a percentage-based scale it was increased up to Rs. 27,000 for 100% disability from a mere sum of Rs. 2,600, which was provided on the basis of slab-based system that was at work before 6th CPC. When such a substantial hike was implemented and policies started to change, officers felt that they should certainly claim their legal right. Further streteching the point officers said that if a slab-based system has to be, it should be implemented for civil servants as well. Implementing such a thing for defense services alone is regressive.